With the appointment, the OSTP staff has three deputy CTOs again working under federal CTO Aneesh Chopra: Chris Vein for innovation, Weitzner for Internet policy and Scott Deutchman for telecommunications policy. 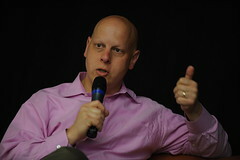 Daniel Weitzner is Policy Director of the World Wide Web Consortium’s Technology and Society activities. As such, he is responsible for development of technology standards that enable the web to address social, legal, and public policy concerns such as privacy, free speech, security, protection of minors, authentication, intellectual property and identification. Weitzner holds an appointment as Principal Research Scientist at MIT’s Computer Science and Artificial Intelligence Laboratory, co-directs MIT’s Decentralized Information Group with Tim Berners-Lee, and teaches Internet public policy at MIT. As one of the leading figures in the Internet public policy community, he was the first to advocate user control technologies such as content filtering and rating to protect children and avoid government censorship of the Intenet. These arguments played a critical role in the 1997 US Supreme Court case, Reno v. ACLU, awarding the highest free speech protections to the Internet. He successfully advocated for adoption of amendments to the Electronic Communications Privacy Act creating new privacy protections for online transactional information such as Web site access logs. Before joining the W3C, Mr. Weitzner was co-founder and Deputy Director of the Center for Democracy and Technology, a leading Internet civil liberties organization in Washington, DC. He was also Deputy Policy Director of the Electronic Frontier Foundation. He serves on the Boards of Directors of the Center for Democracy and Technology, the Software Freedom Law Center, the Web Science Research Initiative. and the Internet Education Foundation. His publications on technical and public policy aspects of the Internet have appeared in the Yale Law Review, Science magazine, Communications of the ACM, Computerworld, Wired Magazine, and The Whole Earth Review. He is also a commentator for NPR’s Marketplace Radio. Mr. Weitzner has a degree in law from Buffalo Law School, and a B.A. in Philosophy from Swarthmore College. As Angwin reported, Weitzner pushed for creation of the Commerce Department new privacy office while he was at NTIA. In his new role, he’s likely to be working closely with the FTC, Congress and a new privacy office at the Commerce that, according to Angwin, is likely to be run by Jules Polonetsky, currently head of the Future of Privacy Forum. Weitzner’s appointment is good news for those who believe that ECPA reform matters and for advocates of free speech online. Given the recent role of the Internet as a platform for collective action, that support is worth acknowledging.